Last week Donald Trump had a no good terrible horrible week, all of it self-inflicted by his penchant to go “off script” and to say whatever pops into his head or to tweet it in an exercise of free association. I think this week marked a certain coming to terms with where the election is going. Politics is about trends and tendencies. The trends for Donald Trump are not good, and he tends not to change. Here is a truth of life. When you act as if you’re insane, people are liable to think you’re insane. That’s what happened this week. People started to become convinced [Trump] was nuts, a total flake. But of course, “The Donald” is who he is, he cannot stop himself. She is a totally unhinged person. She’s unbalanced. And all you have to do is watch her, see her, read about her,” Trump said during a campaign rally in Windham, N.H., Saturday evening. “Now you tell me she looks presidential, folks. I look presidential,” he said in another instance. Just like in the story of Narcissus, “The Donald” was looking at his own reflection in the mirror. This tactic is known as “I’m rubber, you’re glue. Whatever you say bounces off of me and sticks to you.” You typically do not see this from anyone past the age of 10. Donald Trump speculates on Twitter that Shahram Amiri — an Iranian nuclear scientist who defected to the U.S. and reportedly became a CIA spy — was executed in Iran recently “because of Hillary Clinton’s hacked emails.” There is no evidence of that. To the contrary, it had been widely reported for years that Amiri was a CIA informant. The first news story on Amiri providing the U.S. with information on Iran’s nuclear program appeared in March 2010 — nearly four months before Clinton’s aides at the State Department referenced Amiri (without naming him) in emails. Furthermore, there is no evidence that Clinton’s emails were “hacked,” as Trump said. Trump went even further in claiming that “many people are saying that the Iranians killed the scientist who helped the U.S. because of Hillary Clinton’s hacked emails.” But any people who are, including Trump, are making accusations without having any evidence to back them up. Trump was obliquely papraphrasing Nevada Tea Party Senate candidate Sharron Angle from 2010. Sharron Angle Floated ‘2nd Amendment Remedies’ As ‘Cure’ For ‘The Harry Reid Problems’. You can be certain that his Tea-Publican audience heard his right-wing dog whistle loud and clear. After journalists interpreted the comment as suggesting or joking about a call to arms, Trump’s campaign was quick to offer its first defense — that he was talking about gun-rights supporters voting. The defenses of Donald Trump’s ‘Second Amendment’ comment don’t make sense. Here’s why. This is exactly the response you’d expect Trump’s campaign to give. And it’s likely to satisfy his most ardent supporters and skeptics of the media. Trump made the “Second Amendment” as he was already talking about a situation in which Clinton was the president. He said, “If [Hillary Clinton] gets to pick her judges, nothing you can do, folks.” There’s “nothing you can do” in this situation because Trump is talking about a time in which the 2016 election has already passed and Clinton is president. If he wasn’t talking about that situation, why would he say there was “nothing you can do?” During the election, there’s something pretty obvious you can do: Prevent her from becoming president in the first place. Then Trump immediately follows it up by saying, “But I tell you what, that’ll be a horrible day.” Again, this strongly suggests the time frame he’s talking about is when she’s already in the White House. Otherwise, both the “horrible day” comment and the “nothing you can do” comment that bookend his Second Amendment remark are total non-sequiturs. The Washington Post’s Paul Waldman correctly argues, Trump’s latest outrageous statement wasn’t a ‘gaffe.’ It was something much worse. Donald Trump is not a very articulate man. So when Democrats expressed their outrage over this quote, he and his campaign could have said that while it’s understandable that some people could have interpreted his words to mean that he was encouraging gun owners to either assassinate Hillary Clinton or assassinate the judges she appoints if she becomes president, he didn’t intend to say anything of the sort. But instead of just acknowledging that the words got a little garbled, which can happen to anybody, Trump claimed that the words themselves were a perfect expression of his intent, which was to encourage people to vote in order to protect gun rights. “There can be no other interpretation. Even reporters have told me. I mean, give me a break,” he told Sean Hannity last night. But should we actually care? The answer is yes, for a couple of reasons. First, we shouldn’t lose sight of the fact that this is all in the service of a ridiculous lie Trump repeats every time he discusses the issue of guns. He’ll always say some version of “Hillary Clinton wants to take your guns away and she wants to abolish the Second Amendment” (yes, that’s a quote), when the truth is that Clinton has never proposed repealing the Second Amendment, nor has she ever proposed some kind of grand gun confiscation. You can read her position on this issue here, but it comes down to expanded background checks, a new assault-weapons ban, and a couple of other relatively minor things. You can disagree with her on the particulars, but it’s not abolishing the Second Amendment; whenever she is asked about it, she says that reasonable restrictions are not incompatible with a constitutional right to bear arms, which is what all but the most radical gun extremists agree on, and what even the conservatives on the Supreme Court have always held. The second reason the criticism of Trump’s statement is legitimate is that he himself demands that his opponent be held to a ludicrously high standard of accountability for every syllable that passes her lips, and some that even don’t pass her lips. For example, on Monday in his speech to the Detroit Economic Club, Trump said that Clinton “accidentally told the truth and said she wanted to raise taxes on the middle class.” This wasn’t off-the-cuff, mind you — it was in Trump’s prepared text. What was he referring to? A speech last week in which Clinton said “We aren’t going to raise taxes on the middle class,” something she has said approximately a zillion times before, but in some video feeds of the speech, the “aren’t” sounds a little slurred so you might hear it as “are.” But Trump just claims that she actually said “are” and has thus revealed her secret desire to raise middle-class taxes (PolitiFact gave him a “Pants on Fire” for that one). But most important, the reason Trump doesn’t get a pass on hinting that violence against politicians or judges is an appropriate response to an imagined threat to gun rights is that there’s a context in which this statement comes, a context created by gun advocates, by other Republicans, and by Trump himself. A candidate who tells his supporters that if they see protesters, “Knock the crap out of ’em,” or who says about one, “I’d like to punch him in the face” isn’t going to get the benefit of the doubt when it comes to advocating violence, and that’s no one’s fault but his. And Republicans at all levels frequently argue that one of the primary purposes of owning guns is so that you can use them to kill representatives of the government, whether police or soldiers, when they become too tyrannical. It doesn’t matter whether Trump really believes that people should use their guns against the federal government if it enacts policies they don’t like. What matters is that he’s encouraging them to think they should, just like he’s encouraging them not to accept the results of the election if their favored candidate doesn’t win. That’s what so malignant, and that’s what he should answer for. Next articleWho’s running for TUSD Governing Board in 2016? I will grant you that Trump is prone to inflammatory remarks and would make a dangerous president. His statements could not ever be trusted so the fabric of our international relations would come apart. However, his “second amendment people” remark needs to be completely contextualized. 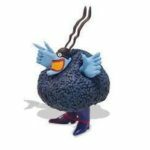 The sentence Blue Meanie added to the quote is itself incomplete. Trump went on to qualify it saying, to paraphrase, it would be a horrible day if Clinton gets to name judges. Politifact has the full quote along with the supporting video clip. Trump may have meant the “second amendment people” as a dog whistle for his gun-crazed followers, but the entire context does support the alternative interpretations suggested by his campaign. Steve is correct. Have faith. Trump will make dumber and more dangerous statements before November. He apparently went off script in the Florida rally and threw red meat to the crowd which then responded with “Lock them up” in support of Trump’s shots at the journalists. No one is talking about taking away your right to own a gun. NO ONE. What Hillary and many many others, including a large majority of gun owners are asking for is 1) to require everyone to go through the same background check, nationwide, to make it harder for bad guys to get guns. 2) to require anyone on a terror watch list not be allowed to purchase guns until they are cleared. 3) to reinstate the assault weapon ban that was in place for many years before it expired. And 4) to limit the size of magazine sold to limit the ease with which mass murderers can kill many many people in a short period of time. Any gun that isn’t an assault weapon is exempt, and likely there will be some kind of permit for true collectors. If you are a) not a criminal or have been hospitalized in an in-patient mental health facility, b) not on the terror watch list, c) not an owner of an assault weapon who cannot qualify for a collector’s permit, or d) in great need of not merely killing your game animal but fragging it into a zillion inedible pieces, then NOTHING that has been proposed by Hillary or Gabby or anyone else will affect you. And ALL of that is perfectly legal under the 2nd Amendment without ANY changes to the constitution. TS, I am fairly certain that you have heard the story of placing a frog in a pot of cold water and then slowly increasing the heat until the frog is dead in boiling water. The frog never has any idea what is happening until it is too late. That is exactly what happens with the “common sense” restrictions you listed. (Just for the record, I don’t see anything benign or common sensical about any of the restrictions you listed). You and I both know that these additional rules would not be the end. Later there would be additional “common sense” restrictions imposed, and then more, and then more, until firearm ownership would effectively end. There would still be a 2nd Amendment, but it would have no meaning. And that IS the goal of anti-gun fanatics in this country. I agree that very few of them go around vocalizing it, but that isn’t because they don’t want it. Rather, they don’t say it because it is too radical for the vast majority of Americans who support the 2nd Amendment. Instead, like the frog in the water, they incrementally strip us of our rights with the ultimate goal to strip us of our guns. Paranoid? I guess you could try and build a case for that, but the body of evidence is there in State laws. Steve, Steve, Steve…you are not at all good at reading minds. If you could read minds, you’d realize that most of us are 100% for Well Regulated Militia’s, like the ones George Washington used to put down the Whiskey Rebellion. The 2A doesn’t exactly mean what you think it means, and this fairy tale about Jefferson putting it in there as a warning against tyrants or whatever is dangerous. The 2A is there to defend the government, not overthrow it, without the need for a standing army, and to appease the slavery states. There is no unlimited right to own AR’s and tanks in the US Constitution. TS, you couldn’t be more wrong if you were trying. You have only looked at the arguments supporting the usurpation of individual rights under the 2nd Amendment. Where do you suppose the “militia” Washington called for from the Governors of Pennsylvania and Virginia came from? They were drawn from the “individuals” who owned firearms in these States. They were organized only in the sense that they were able bodied men who were able to provide their own arms. When called upon, they volunteered to go. They were paid a stipend by the State while they served, and they agreed to serve for specified period of time. The key point is that they were individuals who provided their own weapons. Of course, the definition of a “militia” (as found in the United States Code) has changed over the years but it is important to know what it was defined as at the time the Constitution was written. You dismissed the idea that part of the reason for the 2nd Amendment was to overthrow a despot should the need arise, and in doing so you completely ignore one of the key reasons several of the States refused to sign the Constitution unless the Bill of Rights (to include the 2nd Amendment) was included. As British colonists, they understood all too well that British monarchs had always worked at maintaining their power by forbidding arms to be owned and kept by commoners. Whether it was firearms or swords, only the aristocracy could arm themselves in order to maintain power. During the Revolutionary War, the first thing the British did was to try and disarm the populace, allowing only the British Army and – too a very limited extent – Tories loyal to the King to have firearms. Lexington-Concord was the result of the British trying to seize weapons at Concord. The punishment for having forbidden weapons could be as much as death if decided by a Military Court. The lessons learned from that were driven home to the Founders and many of the States refused to allow a situation where the individual could be denied the right to keep and bear personal arms. Also, the Bill of Rights has 10 Amendments, ALL of which discuss the “…right of the people to…”. For 9 of those Amendments no one has ever tried to interpret that phrase to mean a collective right. They are understood to be individual rights. Only with the 2nd Amendment has there been efforts to interpret it as some sort of collective, and not individual, right. Of course, it requires mental gymnastics to do so, but with anti-gun forces, nothing is beyond the pale. As to the 2nd Amendment meaning you can own a fully functioning tank, if you want me to take you seriously, then speak seriously. The 2nd Amendment, like all the Amendments, has been modified over time to accommodate reasonable limits. My belief is that we have reached a point where nonsense is being peddled as “common sense” and there will be no end to the effort to strip individuals of their rights under the 2nd Amendment. The truth is that anti-gun fanatics will not happy until the 2nd Amendment is null and void. You don’t have to agree with me about that, but I believe it and I will do everything in my power to block any further legislation to further erode the 2nd Amendment. I got my gun safety merit badge in the Boy Scouts back in 1967. I’m not anti gun. My tank comment was shorthand for the ridiculous hardware some 2A folks think they need. The militia’s at the time of the framing of the Constitution were common folks who carried common arms for the time. They were for defending the new US Government against insurrections, the 2A is not about overthrowing the government. I never hear the 2A folks include the militia part in their oh so dramatic “from my cold dead fingers” speeches. Why is that? Because the 2A is not that simple and they don’t want to admit it. Jefferson and team weren’t idiots, they didn’t include a poison pill in the game plan. This is 2016. We don’t all have a musket for shooting rabbits and Redcoats. Things are a wee bit different now. ISIL has stated they don’t need to send soldiers here, they just recruit a lone wolf and use our lax gun laws against us. You 2A folks own that. When a convicted wife beater kills his spouse with a gun, you own that, too. Next time you feel the need to overthrow the US government, read the Constitution you folks claim to love so much, it’s all detailed in there, Article 1, but you might want to find someone who isn’t a Reality TV Star/Real Estate Broker/Con Man with tiny fingers. Not putting Trump on you, Steve, just saying, conservatives have courted crazy for years, because crazy gets to the polls, and now your chickens are home to roost. Thank you, Not Tom, for not putting Trump on me. I can’t stand the guy and think he would make a very bad President. No one was more shocked than me that he actually managed to become the Republican nominee. In these pages during the early days of the campaigns I said Trump would be a flash in the pan that would quickly disappear once things heated up. Boy, was I ever wrong! I am a die hard pro-2nd Amendment fanatic, and I was bothered greatly by Trump’s statement. I think Trump was trying to make what he thought was a joke, but instantly realized what a terrible thing it was he had just said and he tried to mitigate it with the mumbling additional comment about what a terrible day that would be. It was a good analysis, AzBM, of a statement that may be one of the dumbest utterances Trump will make during the campaign. Of course, there is 90+ days until the election so Trump has plenty of opportunities to make even dumber statements.